Day-long climbs call for Black Diamond’s Bullet Backpack. With a 16-liter capacity, the Bullet boasts plenty of space for lunch, layers, and the climbing gear you don’t need for the next pitch. 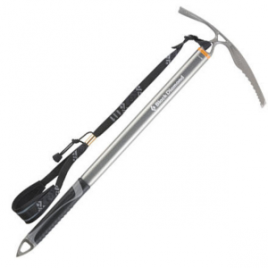 Black Diamond made the Bullet out of ballistic nylon for the extreme durability that the rock demands. 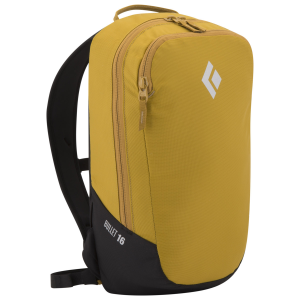 A streamlined design ensures mobility when you pull through the crux, or you can tuck the shoulder straps and webbing belt to haul the pack up after you send. The Bullet also features a removable back panel for convenience, a hydration hose port for your own reservoir, and zippered internal and external pockets for the small stuff.